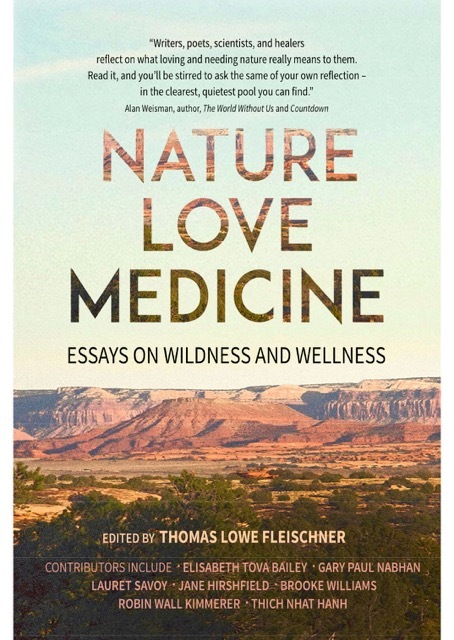 Elisabeth Tova Bailey’s (Creative Nonfiction, S’15) essay “Biophilia at my Bedside” was just published in the anthology Nature, Love, Medicine. The anthology, edited by Thomas Lowe Fleischner and published by Torrey House Press, includes essays by twenty-three writers including Robin Wall Kimmerer, Jane Hirschfield, and thich Nhat Hanh. Karen Bovenmyer (Popular Fiction, S’13) is excited her story “The Scarlet Cloak” was reprinted in Like A Woman, a domestic violence benefit anthology. Her short story “Snow as White as Skin as White as Snow” was published in December’s issue of Gamut Magazine—classmates will recognize this story as inspired by her thesis novel-in-progess The Sleeping Boy. This just in: Factor Four Magazine will be publishing Karen’s science fiction short story “To Infinity and Beyond” in their inaugural issue. With this sale, Karen’s happy to announce she is applying to SFWA. She’s serving as a guest editor for Pseudopod Podcast for March 2018 and hope you all tune in to listen to the five awesome stories she selected (with the associate editing help of fellow ‘coasters Shawna Borman, Erin Roberts, and Cecelia Dockins). 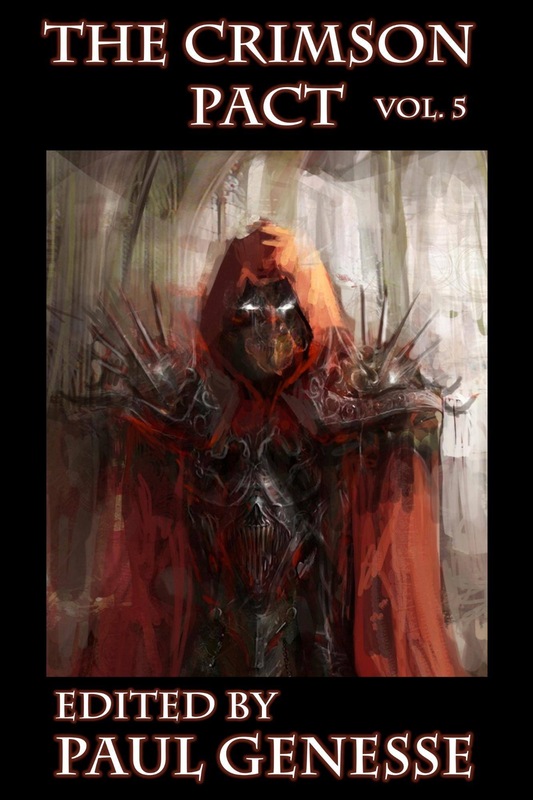 Her poem “Fire Lover” will appear in February’s Heroic Fantasy Quarterly, with an accompanying narration. Karen also has been narrating stories by others. Karen has created a recording of Penelope Evans’ “Wasps Make Honey” for a forthcoming episode of Escape Pod and Evan Dicken’s “The Taking Tree” for Pseudopod. Terri Glass’s (Poetry/Creative Nonfiction, S’13) Terri’s poem, “Violet Green Swallows” was published in Young Raven’s Review, Issue 6. Her poem “Cow Tipping Tuesday” will be published in the 2018 San Diego Poetry Annual and her haiku in the Spring Issue of The Fourth River. Cindy Williams Gutiérrez (Poetry, W’08) received the 2017 Oregon Book Award for Drama for her play Words That Burn. The play dramatizes the WWII experiences of conscientious-objector William Stafford, Japanese-American internee Lawson Inada, and Chicano Marine Guy Gabaldón in their own words. 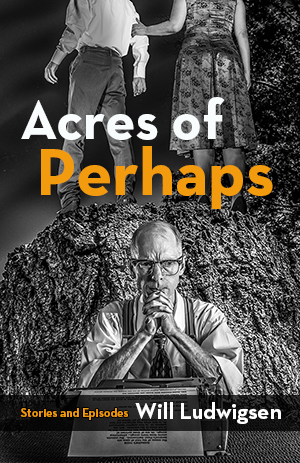 The play premiered at Milagro Theatre in Portland, Oregon, in September of 2014 in commemoration of the William Stafford Centennial, Hispanic Heritage Month, and the 70th anniversary of the rescindment of Executive Order 9066 (incarcerating Japanese-Americans). 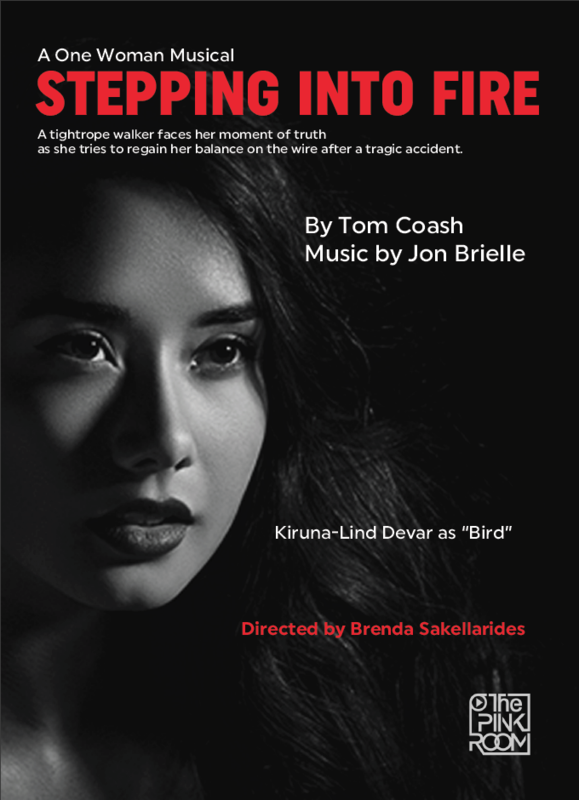 Words That Burn was also produced in 2017 at the Merc Playhouse in Twisp, Washington, and the Linkville Playhouse in Klamath Falls, Oregon. Alan King’s (Poetry, W’13) Point Blank was reviewed in The Washington City Paper, Auburn Avenue, and Run Tell That Magazine. Will Ludwigsen‘s (Popular Fiction, W’11) third collection of short fiction tinged with crime and the supernatural, Acres of Perhaps, will be appearing in April 2018. It is available now for preorder from Lethe Press if you would like to support the small press. 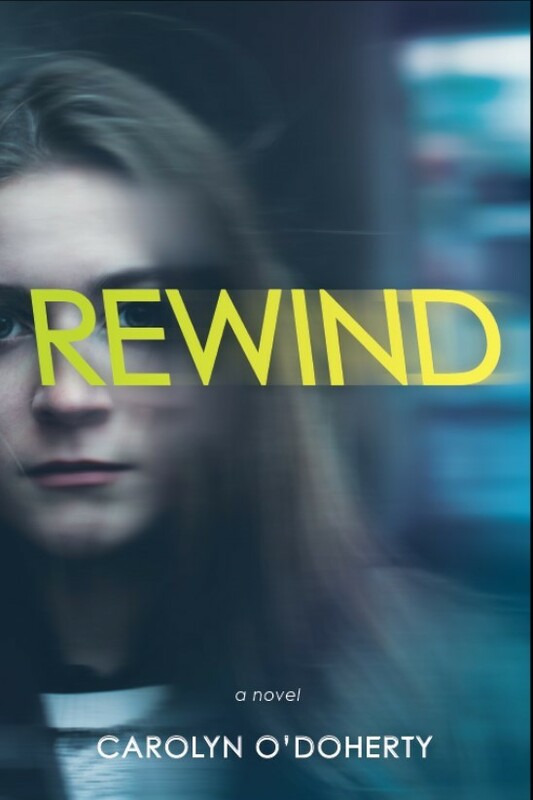 Carolyn O’Doherty‘s (Popular Fiction, W’11) debut novel, Rewind, will be released April 10, 2018. The novel, published by Boyds Mills Press, tells the story of a group of teenagers with the ability to freeze time. 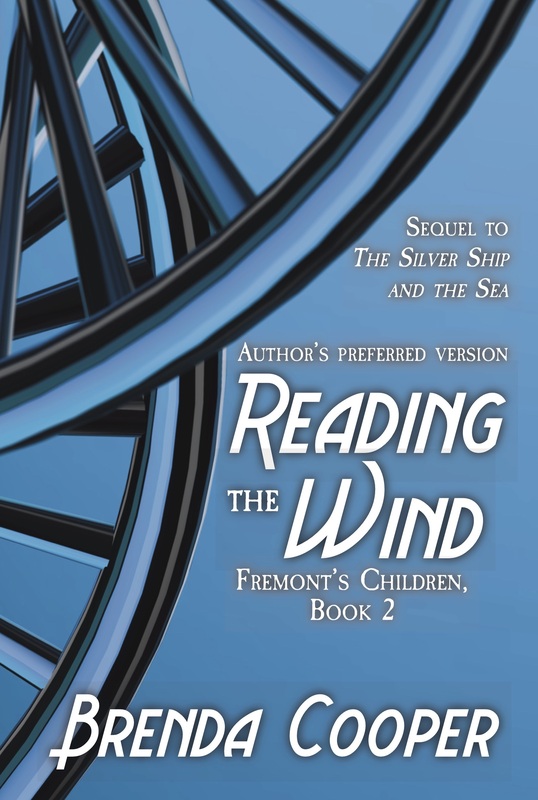 The sequel will be published in Spring 2019. Alexandra Oliver (Poetry, W’12) recently attended Continuum Music’s Urgent Voices multimedia performance in Toronto, featuring the debut of From the Diaries of William Lyon Mackenzie King, an operatic work for which she write the libretto. The Birmingham-based composer, Scott Wilson, was also in attendance. The Canada Council for the Arts has provided Oliver, Wilson, and Continuum director Ryan Scott with funding to develop the project. 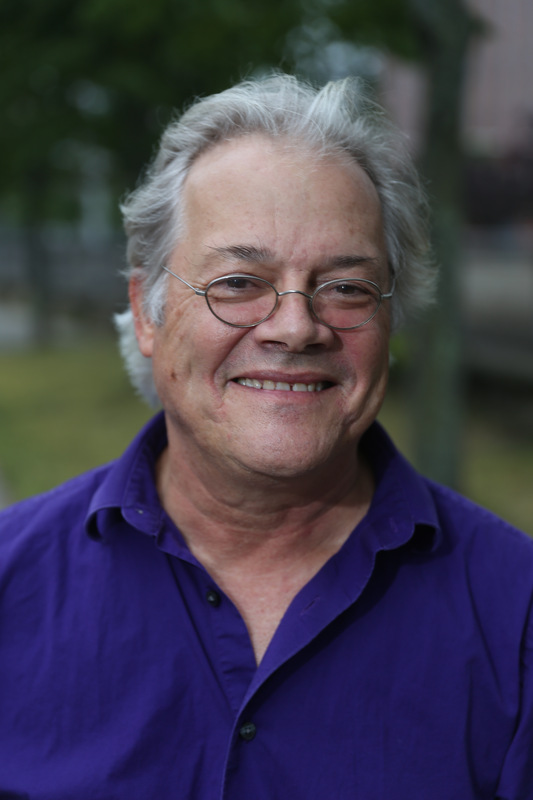 Bruce Pratt‘s (Fiction, S’04) play Radio Silent has won the 2017 Meeting House Theatre Arts Lab’s annual new play contest and will receive a staged reading on January 20 at Schoodic Arts for All in Winterport, Maine. Pratt also won the award last year for his play The King of France. Several of his plays are among those being considered for full production next spring. In addition to winning one of the South Carolina State Poetry Society contests, Steve Rhodes’s (Poetry, W’11) poem “Inheritance” won First Prize in Still: The Journal’s annual poetry contest. He and his wife, Ann, moved to Charleston, South Carolina, three years ago. 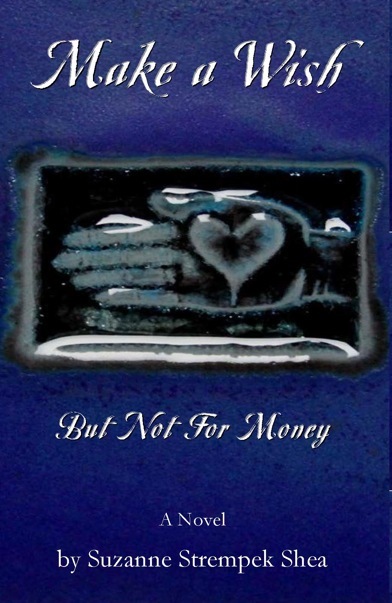 Steve recently completed his third poetry collection, What You Don’t See, and is looking for a publisher. He is currently working on a prose and poetry memoir. This past summer and fall he was invited to give poetry readings as part of hikes in the Great Smoky Mountains National Park led by the singer/song-writer Doug Peters. Great fun. Tamie (Harkins) Parker Song’s (Creative Nonfiction, S’12) poem “Thirteen Ways of Killing the Captain’s Son” was published in Selkie Zine, issue 5. You can find it here. Kathleen Saville (Creative Nonfiction, S’13) has been invited as a speaker to the Match 2018 Virginia Festival of the Book to share her memoir Rowing for My Life: Two Oceans, Two Lives, One Journey, published by Skyhorse/Arcade Publishing in February 2017. 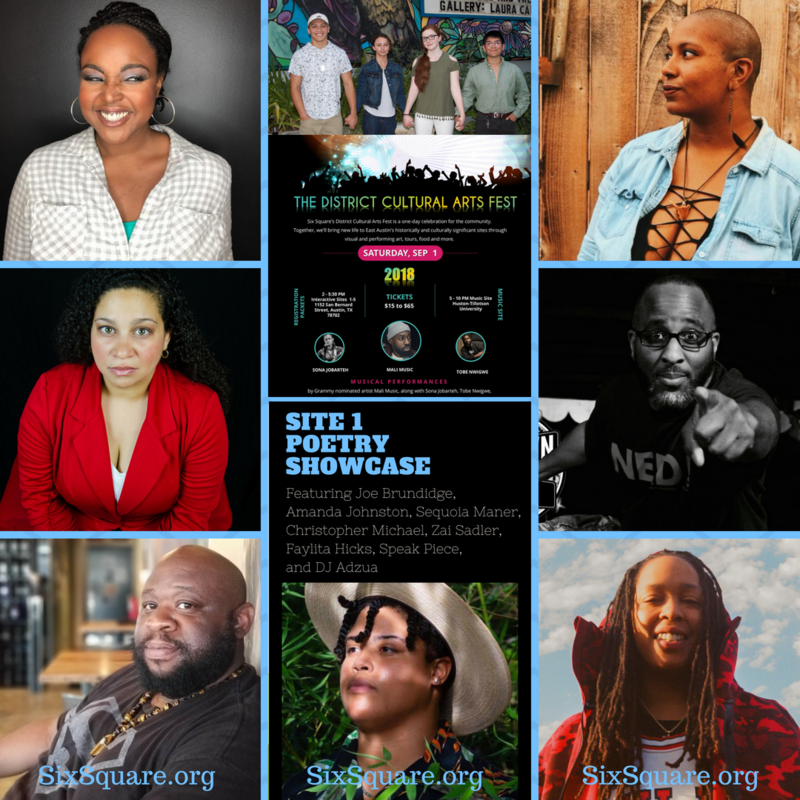 Information on how to attend the Festival is here. 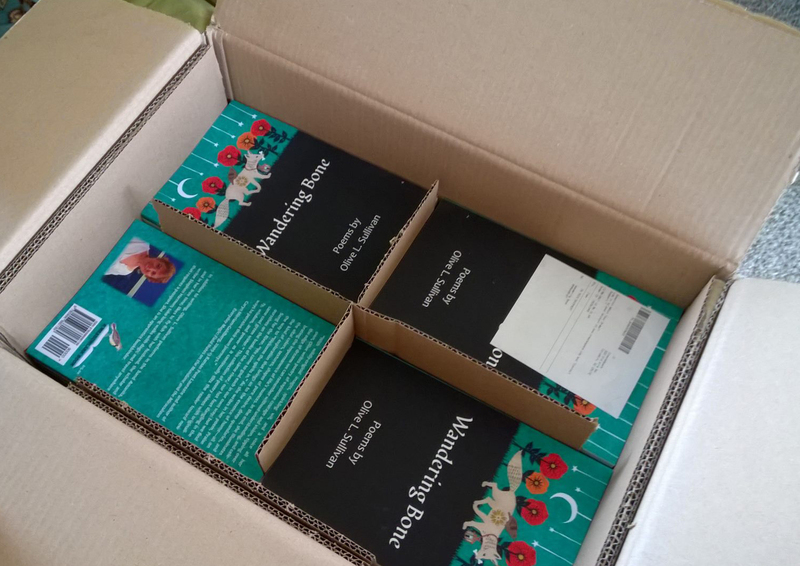 Olive L. Sullivan‘s (Fiction/Poetry, S’15) poetry collection Wandering Bone is now available on Amazon or directly from the publisher, Meadowlark Books. 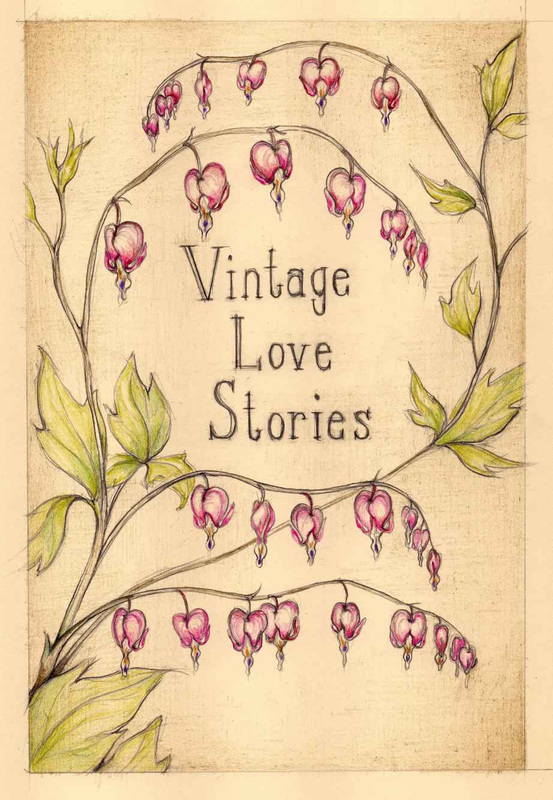 Several of the poems in this book were written as part of her second semester project with Jeanne Marie Beaumount. Karrie Waarala (Poetry, S’11) has three poems—“Memory of Museum of Memory,” “How to Remember,” and “The Morning After”—in the current issue of Blackbird. Her poem “Death Spends Halloween at the Country Bar” was recently nominated for a Pushcart Prize by Escape into Life, where her work was featured in July. And her short story “High Side” appeared in Five on the Fifth earlier this year; this was her first fiction publication. Marco Wilkinson’s (Creative Nonfiction, S’13) essay, “Hidden Light, Wooden Ladder, Bucket of Clay, Pillar of Water,” will appear in issue four of the Bennington Review. His nonfiction manuscript, Madder, was the first runner-up in the 2017 Red Hen Press Non-Fiction Prize, judged by Mark Doty. 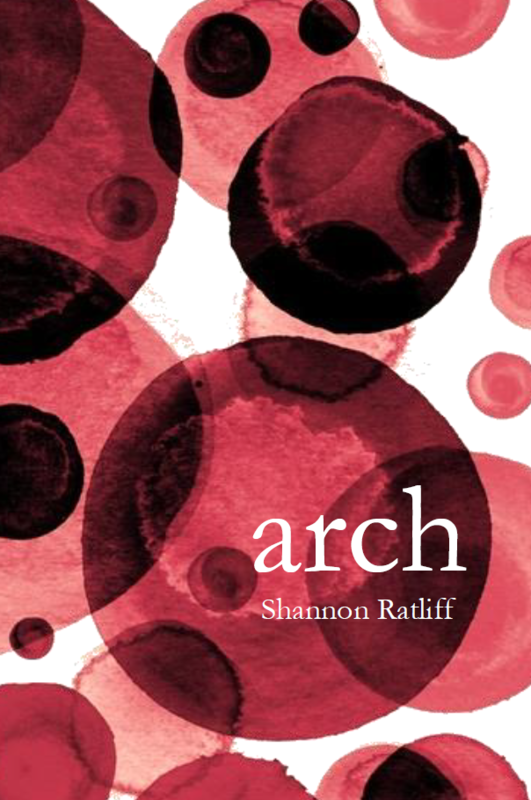 Tamra Wilson (Fiction, S’11) was published in Vol. VI of The New Guard. “Dearest Mum” is part of The Dream Letters, an ongoing feature of the journal. Wilson’s fictional letter is excerpted from a novel-in-progress based on her great-grandmother, an orphan train. Sarah Mack (Popular Fiction), publishing under S.M. 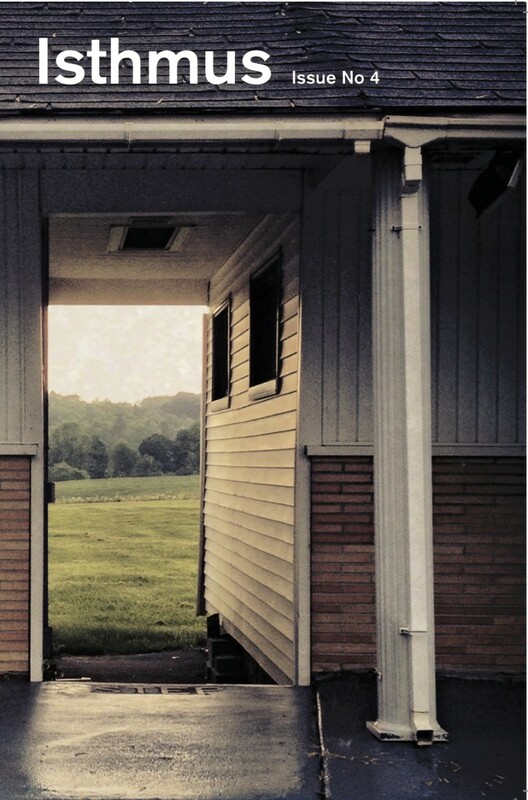 Mack, won first place for the Katherine Patterson Prize for Young Adult Writing for her short story “The Carrying Beam.” The story was published online in Hunger Mountain, The VCFA Journal for the Arts, and is available here. 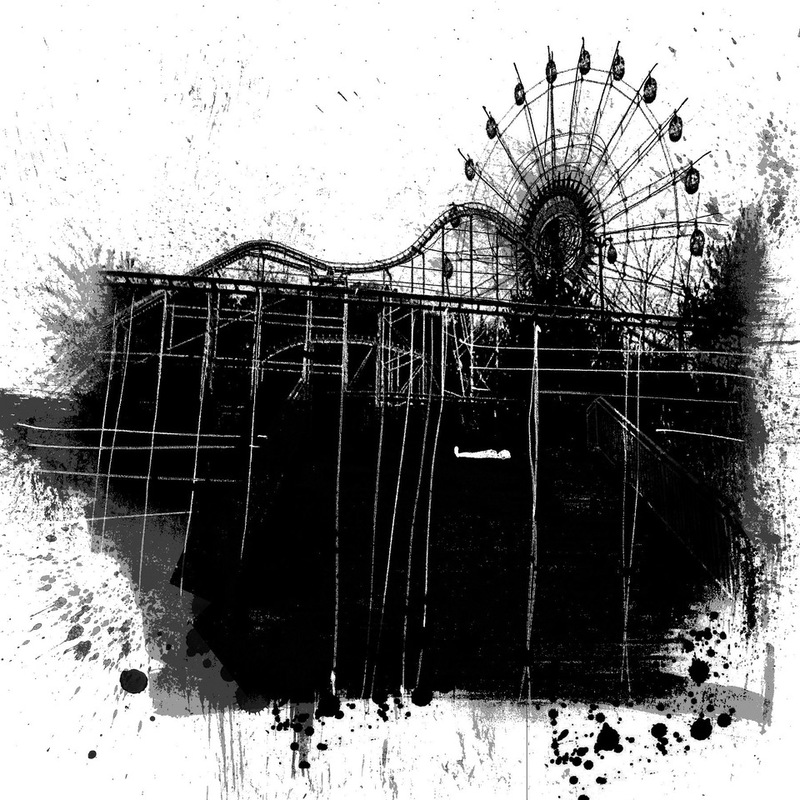 David Anthony Durham (Fiction, Popular Fiction) just renewed the film option for Gabriel’s Story with Redwave Films, as well as the film/TV option for Pride of Carthage with Sonar Entertainment. 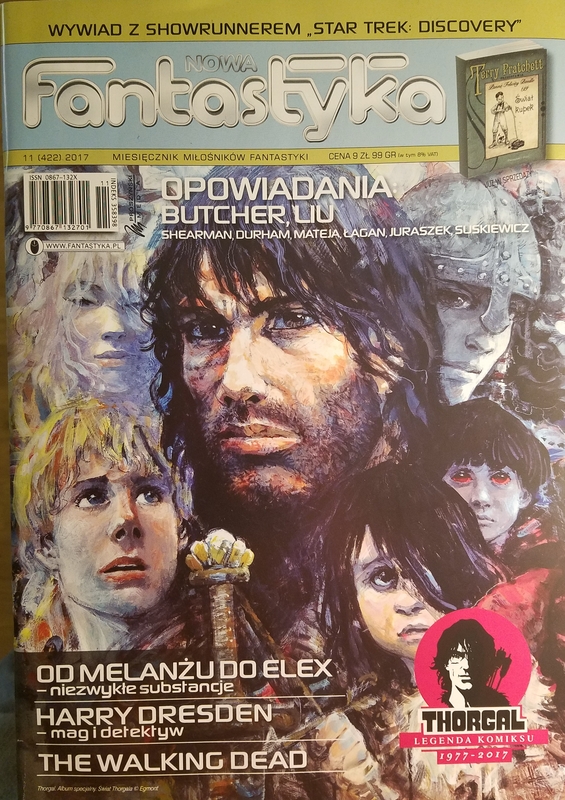 His short story “All the Girls Love Michael Stein” will be republished in The Stonecoast Review and was recently published in translation in the Polish SFF magazine Nowa Fantastyka. He’s also signed on as one of the judges for the 2018 World Fantasy Awards. 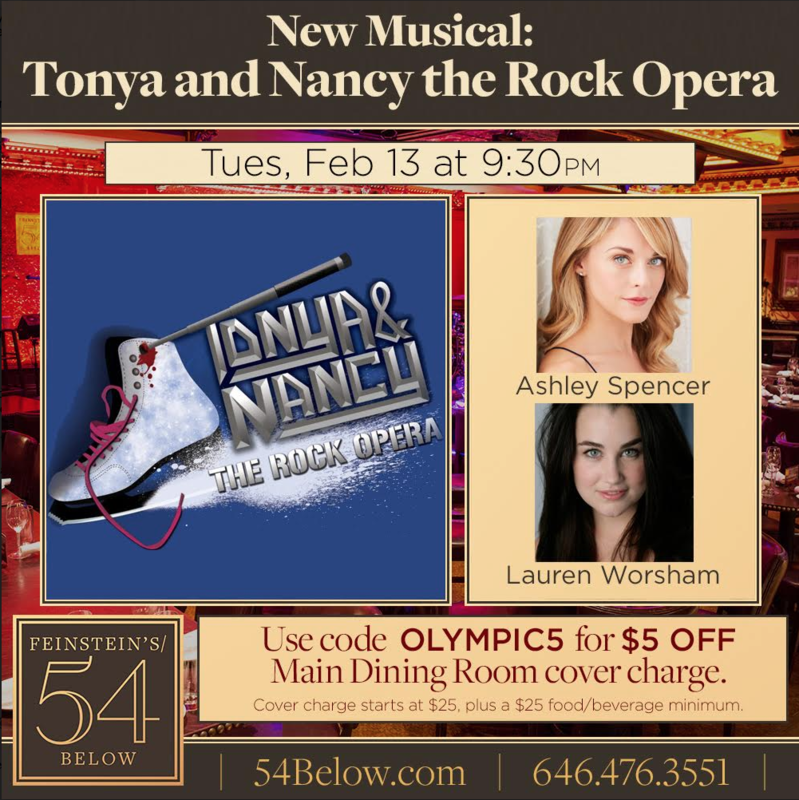 Details here via Locus. Karen Bovenmyer (Popular Fiction, S’13) is ecstatic to announce she has signed a contract with a small press for her 26k word novella “Swift for the Sun” (historical pirate adventure/romance) which will be released under a pseudonym in the first quarter of 2017. It’s the biggest advance and largest royalties percentage she’s ever signed for and she’s very excited. Furthermore, Karen’s poem “NeverNever Holes,” originally published on Zingara Poet, will be reprinted in a forthcoming Love Poems anthology edited by Johnny M. Tucker, Jr. Also, the second issue of Mothership Zeta Magazine, featuring nonfiction by Stonecoast alumnus Adam Gallardo and faculty James Patrick Kelly is now available for download! Karen is the Assistant Editor, Nonfiction, for this magazine, which is led by Stonecoast alumna Mur Lafferty, Editor in Chief. “Space Heart,” an essay by Linda Buckmaster (Creative Nonfiction, ‘11), appeared in the Winter 2015 issue of Solstice Literary Magazine. Her poem “Flowering” was re-published in A Year of Being Here. 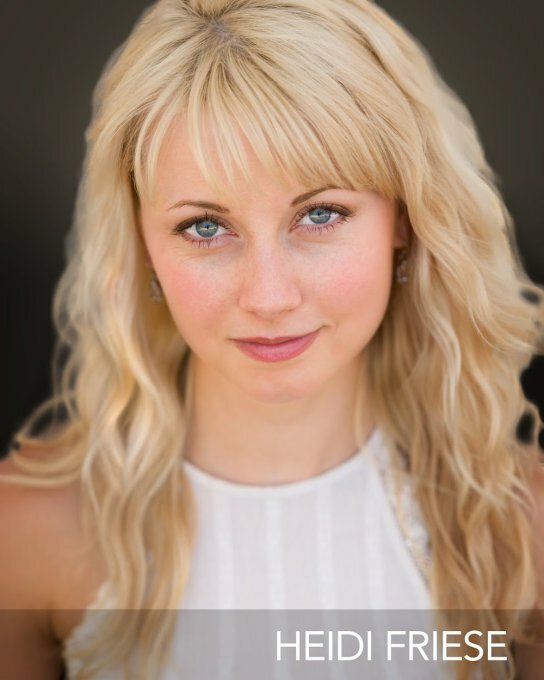 In February, she will be an Associate Artist under writer David Shields at the residency program of the Atlantic Center for the Arts. From there, she will go to Foundation Obras in Portugal for a three-week residency. Nikki Flionis (Fiction, ’10) is among many long-time Bostonians reflecting on their lives in Streets of Echoes, the latest volume in the City of Boston’s memoir project series. Developed in collaboration with Grubstreet, this volume includes residents of Back Bay, Fenway, Beacon Hill-West End, and Dorchester. Flionis’ essay, “Rooms with Adieu,” focuses on the old rooming house culture, wiped out with stunning speed by the advent of the residential condominium in the 1980’s. 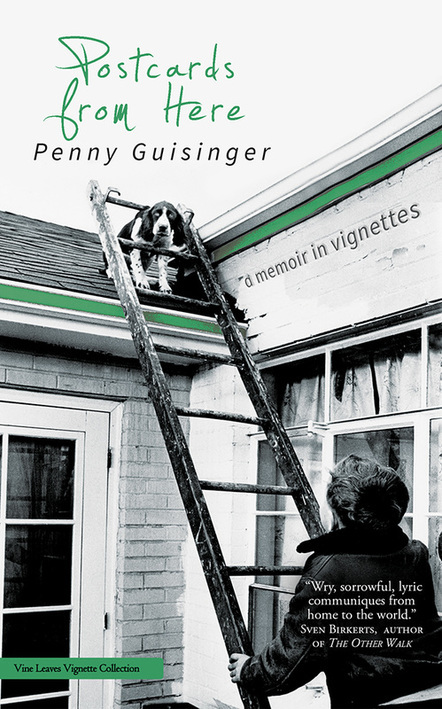 Penny Guisinger’s (Creative Nonfiction, S’13) essay “The Sound of Galton’s Whistle” was nominated for a Pushcart Prize by Maine author and former Pushcart winner Jennifer Lunden in December 2015. And 2016 is off to a grand start: Penny’s book Postcards from Here is now available for order. Cindy Williams Gutiérrez (Poetry/Artistic Collaboration, W’08) was awarded the first Oregon Literary Fellowship for Writers of Color in 2016. Her debut poetry collection, the small claim of bones, placed second in the 2015 International Latino Book Awards, and she was selected by Poets & Writers Magazine as a 2014 Notable Debut Poet. Joe M McDermott‘s (Popular Fiction, S’11) short story “Snowbird” appears in the March 2016 issue of Analog Science Fiction and Fact. Mary Heather Noble (Creative Nonfiction, W’14) is pleased to have her essay “Seduction” included in Fracture: Essays, Poems, and Stories on Fracking in America, an anthology to be released by Ice Cube Press later this month. 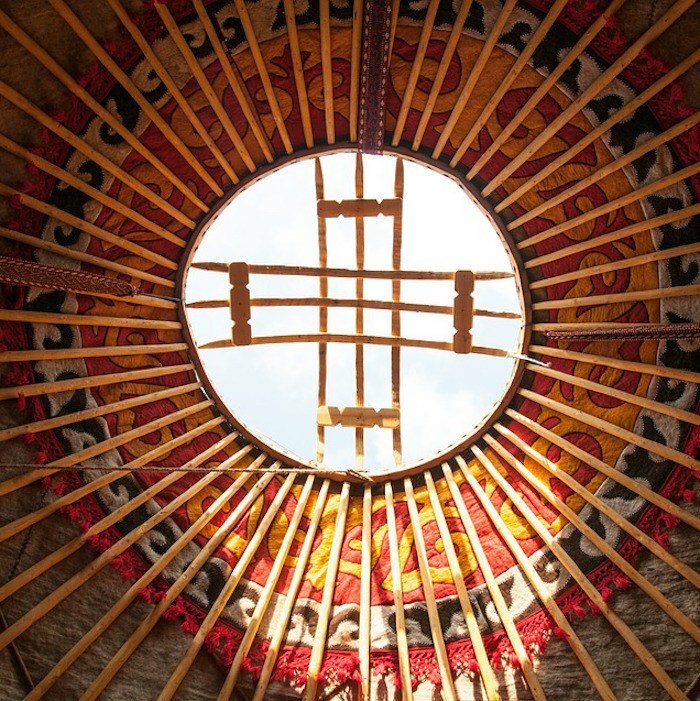 Fracture explores the well-known and little-known complexities of fracking through first-hand experience, investigative journalism, storytelling, and verse. The collection will also feature the work of Stonecoast faculty Debra Marquart, former Stonecoast faculty Barbara Hurd, and several other acclaimed environmental writers. The book can be pre-ordered here. Lisa Romeo’s (Creative Nonfiction, S’08) essay “Sound and Fury, Signifying” appeared in Synaesthesia Magazine in January. Another CNF piece, “​Gray,” received honorable mention in the 2015​ Our Past Loves contest and is now posted online (scroll down). ​Lisa has ​been invited to present a craft seminar at HippoCamp 2016​: A Conference for Creative Nonfiction Writers in Lancaster, PA, in August​. ​Conference registration is now open.​ Lisa’s humor essay, “The Long Pink Line,” has been accepted for Flash Nonfiction Funny. 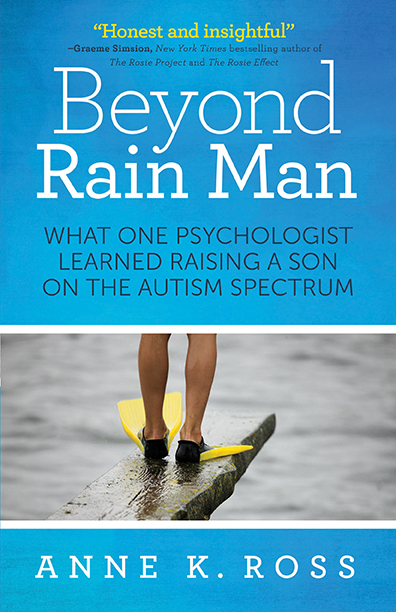 Anne K. Ross’s (Creative Nonfiction, W’07) book Beyond Rain Man: What One Psychologist Learned Raising a Son on the Autism Spectrum will be published on April 5, 2016, by Leatherback Press. 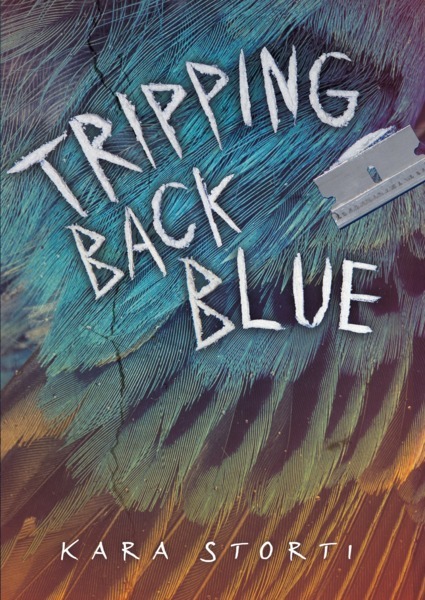 Kara Storti‘s (Fiction, S’06) debut young adult novel, Tripping Back Blue, will be released on April 1st by CarolRhoda Lab, an imprint of Lerner Publishing Group. The book is about Finn, a 17-year-old full of paradoxes. He’s a drug dealer, but he’s scoring money to send his twin sister to Harvard. He’s desperate to shoot up even though he’s the most popular kid in Dammertown. He’s a philosopher and orator who’s failing all his classes. The only time he finds peace is when he’s bird-watching. Finn’s life begins to spiral out of control, until he discovers a miracle drug called indigo. Finn is convinced that the drug is the way out of everything broken in his life. But is it really as magical as it seems? Bonnie Jo Stufflebeam‘s (Popular fiction, S’13) stories “Feeding the Skeleton Cats” and “Tornado Season” appeared in Eleven Eleven. Her story “The Damaged,” originally published in Interzone, appeared on the podcast StarShipSofa. 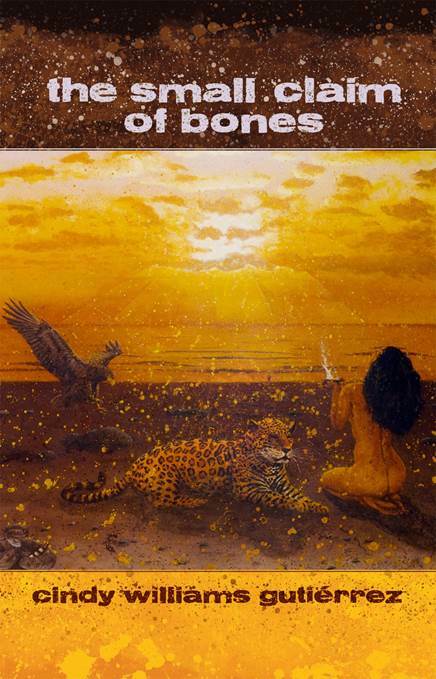 “Skeletons,” originally in Room, was reprinted on the LGBTQ podcast Glittership. Olive Sullivan (Fiction/Cross-Genre Poetry, S’15) is the editor of a new fine arts magazine produced by students in the Department of Communication at Missouri Southern State University, where Sullivan is an assistant professor. The magazine, Vivid, hosted a launch party January 22nd in downtown Joplin. The website is www.vividfinearts.com. Here is a link to a TV news feature about the launch. 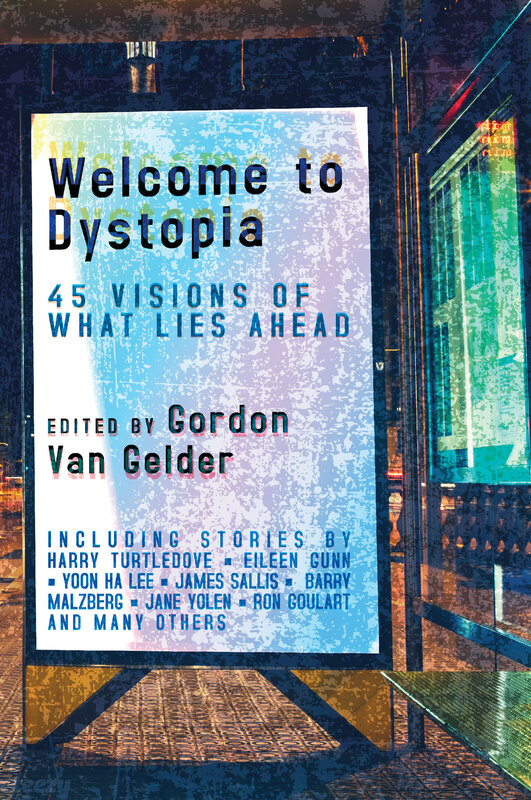 Boskone 53, New England’s longest running science fiction and fantasy convention, will feature among their program participants Stonecoast faculty James Patrick Kelly and Theodora Goss as well as alumnae Julie C. Day and Erin Underwood (Popular Fiction, S’09). This year Erin Underwood is serving as Program Head for Boskone, and she was recently appointed as Chair for next year’s convention. Join us in Boston, MA from February 19-21, 2016, and visit the Boskone website for membership information. 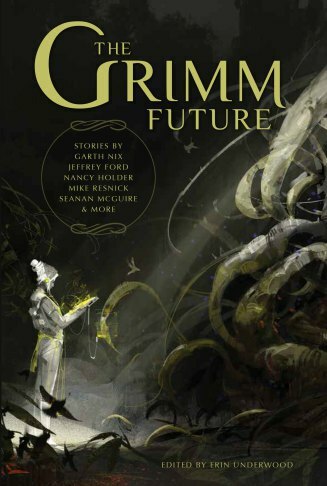 The Grimm Future, edited by popular fiction alumna Erin Underwood, will be released in February 2016 by NESFA Press and will be featured as this year’s Boskone book. The Grimm Future is a new science fiction anthology of reimagined Grimm fairy tales that features original fiction by 14 of today’s most exciting authors including Stonecoast faculty member Nancy Holder and alumna Sandra McDonald. “An Unfinished Story about Eagles,” by Rick Wile (Creative Nonfiction, W’05), appears in the latest edition of Solstice: A Magazine of Diverse Voices. His blog, The Geriatric Pilgrim, now comes out twice a month. Aaron Hamburger‘s (Creative Nonfiction, Fiction, Popular Fiction) review of Garth Greenwell’s novel What Belongs to You appeared in the New York Times Book Review. 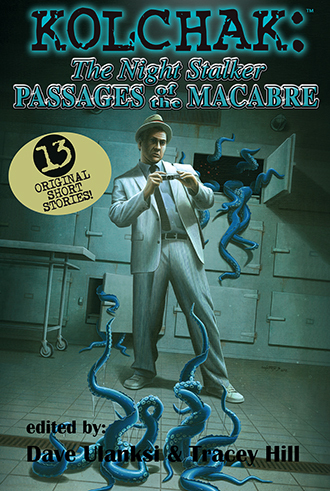 Nancy Holder (Popular Fiction) has a new story titled “Whatever Kills in Vegas” in Kolchak: Passages of the Macabre, published by Moonstone Books. Debra Marquart’s (Creative Nonfiction, Poetry) poem “Lament” has been selected by guest editor, Edward Hirsch, for inclusion in The Best American Poetry 2016 anthology. The poem, “Lament,” a section of a long poem in Marquart’s recent collection, Small Buried Things, addresses the ravages of fracking in her home state of North Dakota. The poem was originally published by New Letters in 2014. 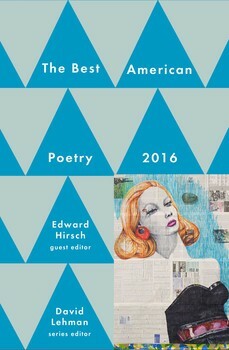 The Best American Poetry 2016 anthology will be published by Scribner in September 2016. By request of the editors, Lisa Romeo S’08 would like to pass along this opportunity:​ Flash Nonfiction Funny, a planned collection of humorous short-short nonfiction pieces. Editors Tom Hazuka and Dinty W. Moore are soliciting submissions, 750 words maximum; both unpublished and previously published selections are welcome. Email submissions as Microsoft Word documents to either tom@tomhazuka.com or moored4@ohio.edu (not both, please). Patricia Barletta (Popular Fiction, W’12) has just signed a contract with Lachesis Publishing for her Stonecoast thesis, Moon Dark, a paranormal historical romance. The novel will be released in 2015. Eric M. Bosarge (Popular Fiction, W’12) is pleased to announce his short story Adytum appeared in volume two of The Darkness Internal published by Voluted Tales. Karen Bovenmyer (Popular Fiction, S’13) is thrilled to announce her space zombies story “Failsafe” (The Crimson Pact Volume 5, Iron Dragon Press, July 2013) earned enough votes to appear on the Hugo ballot for best short story. Though it did not receive enough votes to be nominated for this prestigious award, she’s extremely honored to have been on the list. This was the story she read from for her graduate reading. Jennifer Marie Brissett (Popular Fiction, S’11) will be reading from Elysium, her debut science fiction/science fantasy novel (also her Stonecoast thesis! 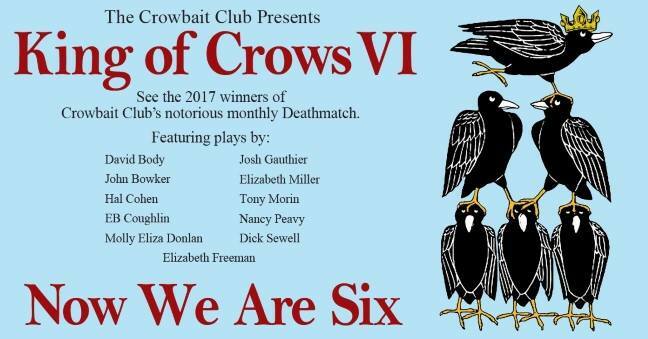 ), at the Franklin Park Reading Series in Brooklyn, Sept 8th, 8:00-10:00 p.m.—FREE ADMISSION, plus $4 drafts and a book raffle! Here’s the Facebook Invite. Libby Cudmore (Popular Fiction/Creative Nonfiction, S’10) has joined the staff of Something Awful‘s Current Releases as a film critic, covering Sin City: A Dame To Kill For, Let’s Be Cops, Get On Up, and others. Additionally, her ekphrastic poem “Out There” was selected for issue six of Paper Darts. And finally, a panel she curated with Matthew Quinn Martin, “You’ve Been Telling Me You Were a Genius Since You Were 17: Five Writers Reel in Their Earliest (and often Embarrassing) Efforts,” has been accepted for the 2015 AWP conference in St Paul, MN. The panel will also include Stonecoast faculty Suzanne Strempek Shea and Elizabeth Searle, as well as author Donna Minkowtz. 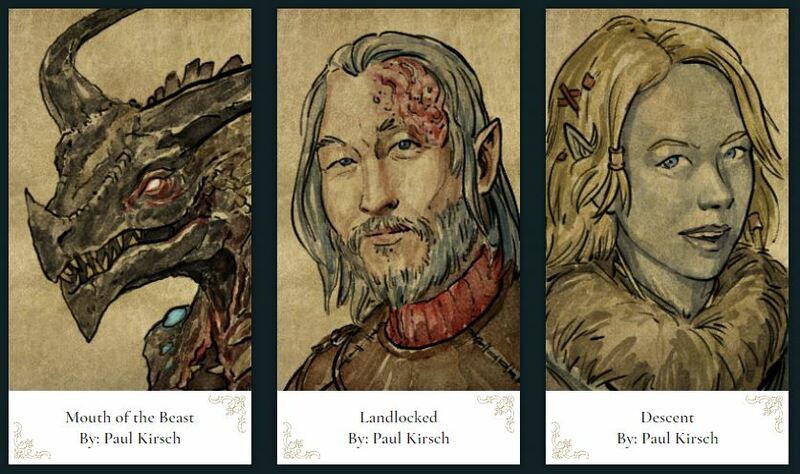 Julie Day‘s (Popular Fiction, S’12) story “Faerie Medicine,” part of the Summer 2014 issue of Flapperhouse, is now available for free on their website alongside some very pretty artwork (seen at right). 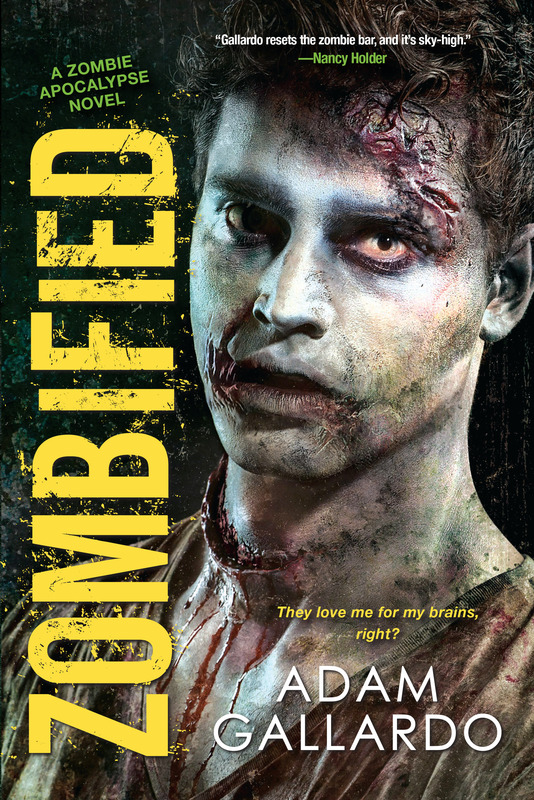 The sequel to Adam Gallardo‘s (Popular Fiction, S’12) Zomburbia, Zombified, has been accepted by his publisher, Kensington, and is now in the hands of the copy editor. Zombified will be published on January 27, 2015. More information about both books may be found at Adam’s website, www.adamgallardo.com. Cindy Williams Gutiérrez’s (Poetry) poetry collection, the small claim of bones, was published by Bilingual Press/Editorial Bilingüe (Arizona State University). The book is based on Cindy’s MFA thesis at Stonecoast. 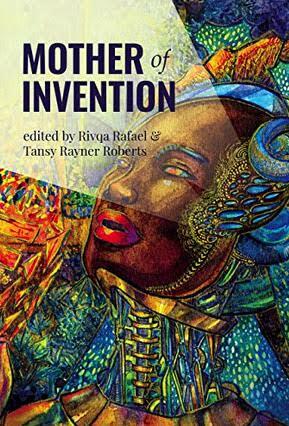 Copies are available through Amazon and directly from the publisher. Marie Hannan-Mandel (Popular Fiction, ’07) was longlisted for the 2014 RTE Guide/Penguin Short Story Competition. Tamie Fields Harkins (Creative Nonfiction, S’12) has one poem and one short essay published in Connotations, the journal published by The Island Institute in Sitka, AK, where she was a writer-in-residence this past April. She’ll also be spending September and October in Sitka for a private writing residency. 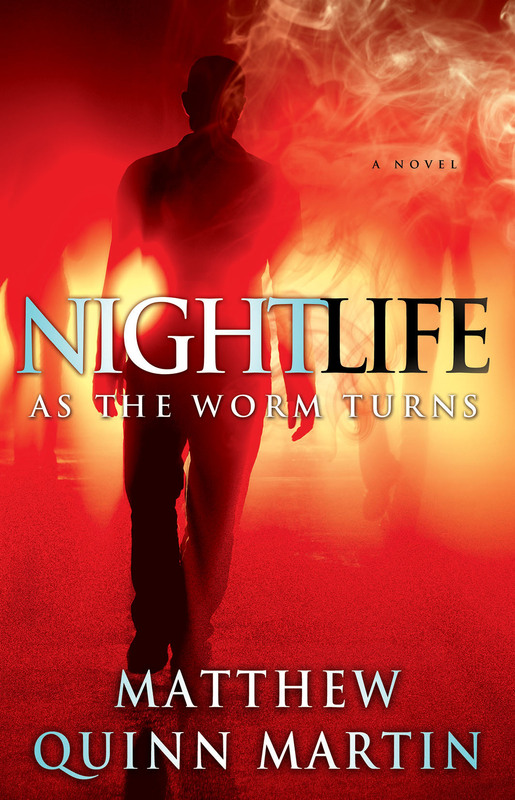 Matthew Quinn Martin‘s (Popular Fiction, S’10) second novel, Nightlife: As the Worm Turns (Simon & Schuster/PocketStar), has been given an official release date of July 1, 2015. He will also be participating in a reading/panel with other thriller and mystery writers at The Doylestown Bookshop in Doylestown, PA, on November 1, 2014. Alison McMahan‘s (Popular Fiction, W ’10) first (non-fiction) book, Alice Guy Blaché: Lost Visionary of the Cinema, has finally come out in e-book form after eleven years as print only. 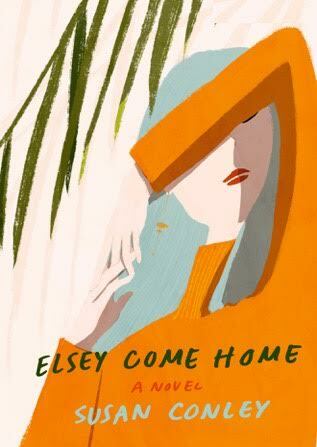 The rights to this book were sold in July to the Pic Agency, who are producing a theatrical documentary entitled Be Natural; Robert Redford is executive producing and Jodie Foster will narrate. Alison sold her first novel, the prize-winning young adult historical mystery entitled The Saffron Crocus, to Black Opal Books. The tagline: “Murder, Mayhem and Romance in 17th-Century Venice.” The book will come out in December 2014. Lisa Romeo (Creative Nonfiction, S’08) is excited to be teaching in Bay Path University’s new online creative nonfiction MFA program (among faculty with various Stonecoast ties). Lisa’s essay, “Mom, Me, and the Shirley Temple Room,” appeared in the June 2014 issue of Inside Jersey Magazine. Robert E. Stutts‘s (Popular Fiction, S’10) short story “Hungry” (one of his Stonecoast thesis stories and published originally in 2013 in Daily Science Fiction) was reprinted in Heiresses of Russ 2014: The Year’s Best Lesbian Speculative Fiction, edited by Melissa Scott and Steve Berman (Lethe Press). Another of his thesis stories, “With His Head in His Hand,” was published this month in Lady Churchill’s Rosebud Wristlet. Lisa C. Taylor’s (Poetry, ’04) short story, “Visible Wounds” (which is an excerpt from a novel in progress) is forthcoming in Map Literary. Her short story “Immersion” appeared in the summer edition of Crannog. Lisa will also be hosting writers in September and October. On September 17, Krista Bremer (associate publisher of The Sun magazine and well-known speaker on NPR and essayist) will read at Eastern Connecticut State University in Willimantic from 3:00-4:00 p.m. in the Science Building, Room 104. Krista is the author of the memoir My Accidental Jihad: A Love Story. That night Krista will read at the University of Connecticut Co-op in Storrs Center at 6:00. Lisa will host Irish writer Martin Dyar in October. 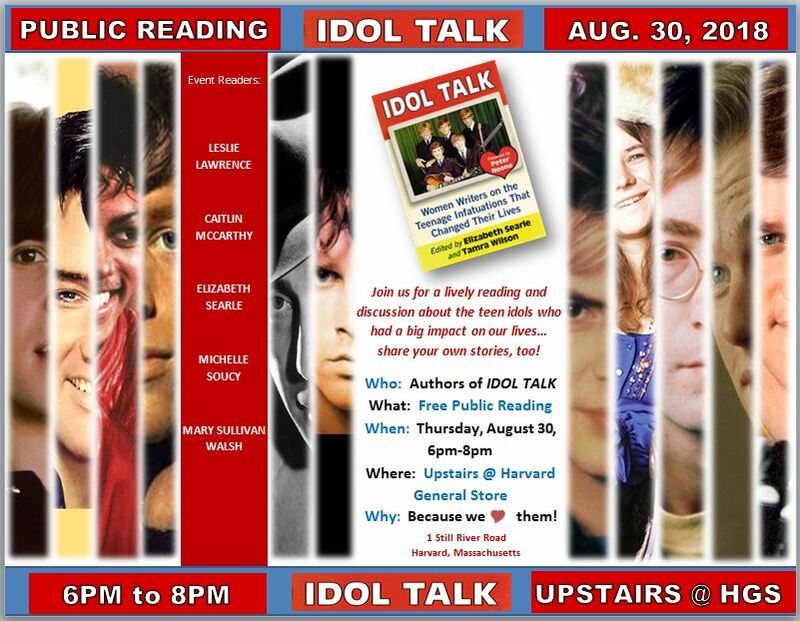 There are planned readings in Connecticut and New Hampshire. Check out Lisa’s web site www.lisactaylor.com or Facebook Events for details. Both Martin and Lisa are scheduled to read at the University of Connecticut Co-op in Storrs Center at 7:00 p.m. on October 14th. Martin is the author of Maiden Names, which won the Patrick Kavanagh Award and the Strokestown International Poetry Award. Contact Lisa for more details of Martin’s tour in New England. This tour will include a literary salon at her house on October 12 from 3:00-5:00 pm. If you are in the area, email for details. And Lisa will be conducting a writing workshop called Death Riding Shotgun: How Our Mortality Shapes Our Writing, sponsored by the Riverwood Poetry Series and held at the Mark Twain House 351 Farmington Avenue in Hartford on November 15 from 2:00-3:00 p.m. Registration is required. Julie L. Vandekreke‘s (formerly Julie L. Scharf; Creative Nonfiction, S’10) short Creative nonfiction piece “Off The Line” is forthcoming in the anthology Pranked: Women Unfriending Women. 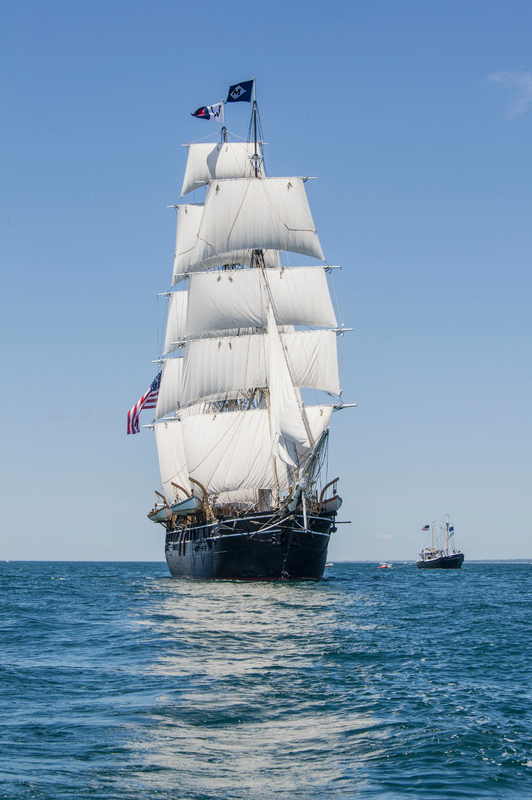 The Charles W. Morgan sails on Block Island Sound en route to Newport on June 15, 2014. Photo by Dennis Murphy/Mystic Seaport. Click to embiggen. Since 2012, Anne Witty (Poetry W‘12) has worked freelance with a Mystic Seaport team of exhibition designers and educators to develop a major exhibition on the cultural and economic impact of the American whaling industry. In August, Anne sailed aboard the newly restored 1841 square-rigged whaleship Charles W. Morgan, the last sailing whaleship in the world. This experiential research informs her writing for “Voyaging in the Wake of the Whalers.” Within the highly disciplined word counts specified by design, she is trying to slip in as many whaling-inspired poems and songs as possible. The exhibition is scheduled to open in 2015. Danielle Rose (Popular Fiction, W’15) joins the University of Wisconsin-Parkside’s English faculty as their newest adjunct professor. She will be teaching Fundamentals of English and Composition and Reading, as well as other composition and editing courses. 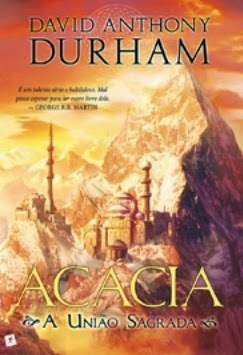 The fifth installment in the Portuguese editions of David Anthony Durham‘s (Fiction, Popular Fiction) epic fantasy series comes out this month in Portugal. It’s called Acácia – A União Sagrada. For comparison to the English version, it’s the first half of The Sacred Band. September 20: Shades and Shadows Birthday Party: Reading and partying at the California Institute for the Abnormal Arts. 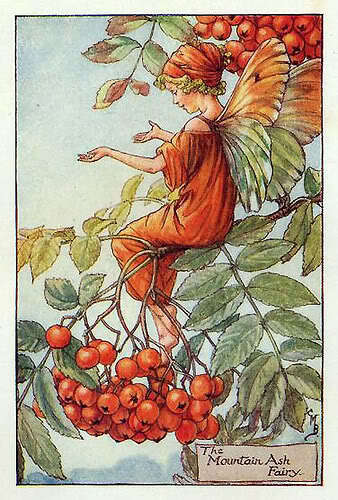 September 27: H.P. Lovecraft and Cthulhu Con, San Pedro, California: Beginning at 1 PM, Lovecraft reading, panel, and autographing, also judging the film competition. September 28: Long Beach Comic-Con, Long Beach, California: On a panel entitled “What is Modern Horror” at noon and signing in the Horror Writers Association booth. Jim Kelly (Popular Fiction) has a new story in the October/November issue of Asimov’s Science Fiction Magazine. Of note to the Stonecoast community: this is a (slight) expansion of the story he wrote for his Flash Fiction Challenge at the Summer 2013 residency. It is now called “Uncanny”; he thanks the workshop for their helpful comments. Also appearing in that issue is an essay Jim wrote on the history and future or space stations. 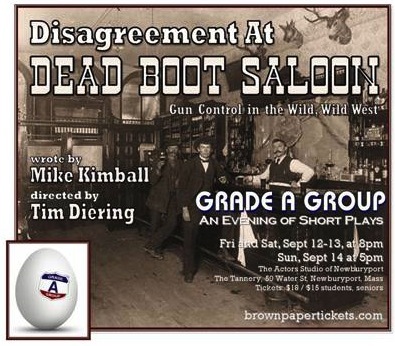 Three of Mike Kimball’s (Popular Fiction, Scriptwriting) 10-minute comedies will be staged in September. 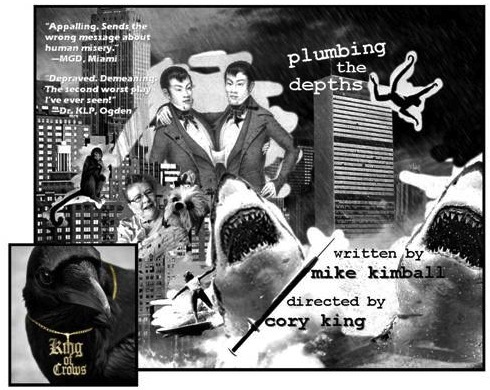 Plumbing the Depths at the King of Crows Show, September 25-27, 7:30 p.m., Mayo St. Arts, Portland, ME. 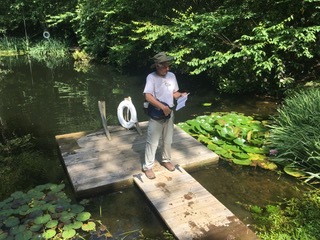 Suzanne Strempek Shea (Creative Nonfiction, Fiction) had a fabulous time teaching alongside Barbara Hurd and Cambridge poet Charles Coe in late August at Iota: the Conference of Short Prose, a project created and run by Stonecoast grad Penny Guisinger. The four-day event took place on New Brunswick’s beautiful and historic Campobello Island, included several Stonecoast alums, and drew participants from as far away as Chicago and the Carolinas; The Bangor Daily News also ran an article on the conference. Suzanne is headed to Ireland this month for several readings of This Is Paradise, the story of Kerrywoman Mags Riordan and the medical clinic she founded in Malawi in memory of a son who died there. Her September 26th reading at Charlie Byrne’s in Galway will be shared with Stonecoast Ireland’s Ted Deppe and Annie Deppe. Ted and Suzanne also will be reading that week at the Clifden Arts Festival. Mags Riordan will be in New England in late October to do a series of promotional events with Suzanne. Some open dates remain; anyone interested in having Mags speak in their city or town should contact Suzanne at sess7@comcast.net. Suzanne’s return will be just before the October 5th publication of her eleventh book, Make a Wish But Not For Money, a novel about a palm reader in a dead mall.